Enjoy the complete Santa Lucia Highlands experience at the Hahn Tasting Room, where the only thing better than the view is the wine. Nestled in the heart of the Smith Vineyard, guests of the Tasting Room are encouraged to bring a picnic to enjoy after a traditional tasting at our Estate Tasting Room. For groups of 6 or more, please call the Tasting Room Approximately 45 Minutes. 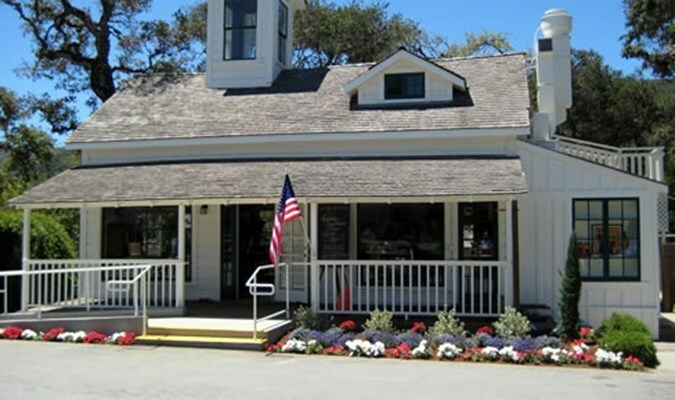 Bringing the Santa Lucia Highlands to Carmel-by-the-Sea, Hahn Family Wines showcases premium wines in the Carmel Plaza, a popular wine and shopping destination. 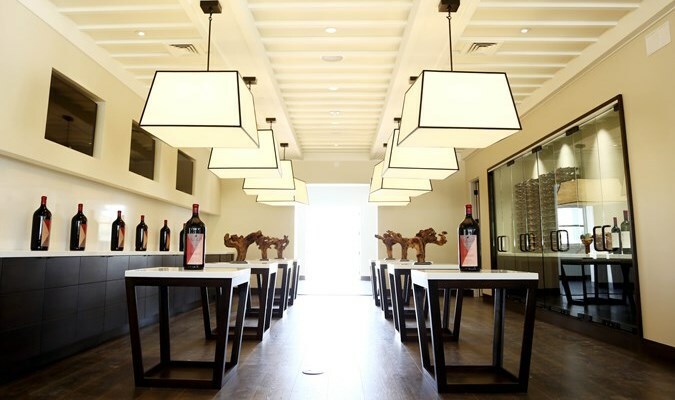 The winery’s second tasting room offers wine lovers a way to enjoy Hahn Estate’s wines near the conveniently-located tourist hubs of Carmel and Monterey. 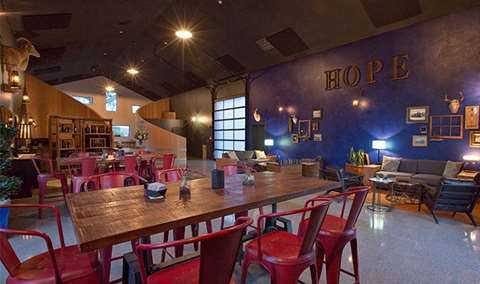 For groups of 4 or more, please call the Tasting Room Approximately 45 Minutes. 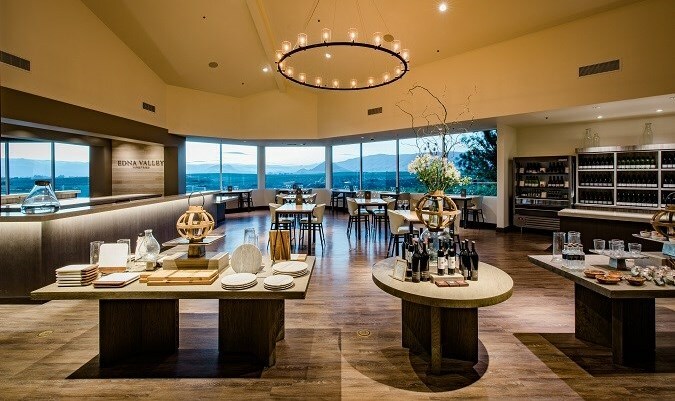 Join us for the unforgettable experience as you taste through select Hahn Estate wines, while lounging on our Tasting Room deck, overlooking the Salinas Valley. 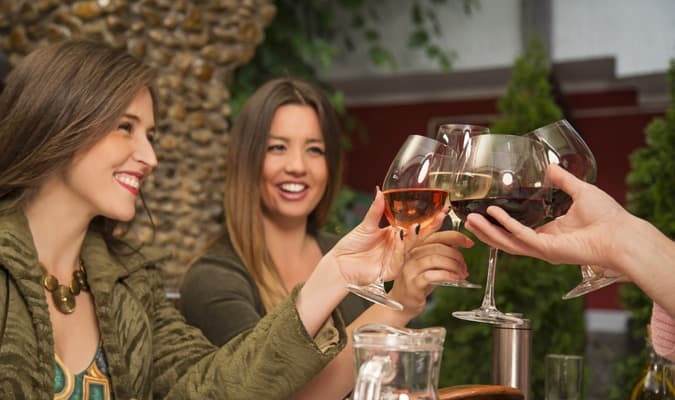 As you taste through selected wines your wine educator will provide history on the region, wine making, and wine pairings throughout the flight. We offer this experience at 12:00 noon, Fridays, Saturdays & Sundays ($35 per person). Reservations are required in advance. Approximately 1 Hour. The most exhilarating way for you to appreciate the spectacular vineyards and vistas at our Estate is by embarking on our ATV experience. You’ll strap yourself into an open-air, all-terrain vehicle and feel the wind against your face as you cruise through our Estate vineyards for a hands-on educational tour! While visiting the wine cellar and learning about the wine making process, you’ll taste a selection of Hahn’s luxury wines. We offer this experience daily at 11am & 1:30pm ($49 per person). Approximately 2 Hours. This summer come and enjoy live music on the Hahn Estate Tasting Room Deck! Music will vary in style each Sunday through June, July, and August. Reserve your table and enjoy wine by the glass or bottle purchases on the deck! Groups of 1-4 people, 4ppl Max ($160 per table, includes 1 bottle of SLH Chardonnay or Pinot Noir and reserves the location up to 4 hours during the event) Reservations & Payment required in advance. Approximately 4 Hours. This summer come and enjoy live music on the Hahn Estate Tasting Room Deck! Music will vary in style each Sunday through June, July, and August. Reserve your table and enjoy wine by the glass or bottle purchases on the deck! Groups of 5-8 people, 8ppl Max ($320 per table, includes 2 bottles of SLH Chardonnay or Pinot Noir and reserves the location up to 4 hours during the event) Reservations & Payment required in advance. Approximately 3.75 Hours. 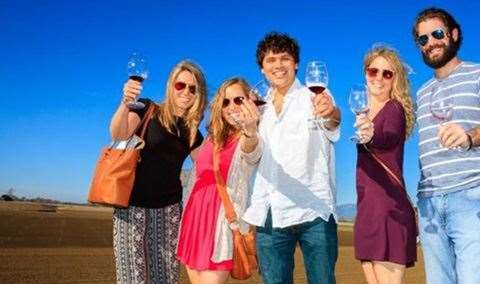 Enjoy the complete Santa Lucia Highlands experience at the Hahn Tasting Room, where the only thing better than the view is the wine. Enjoy the complete Santa Lucia Highlands experience at the Hahn Tasting Room, where the only thing better than the view is the wine. 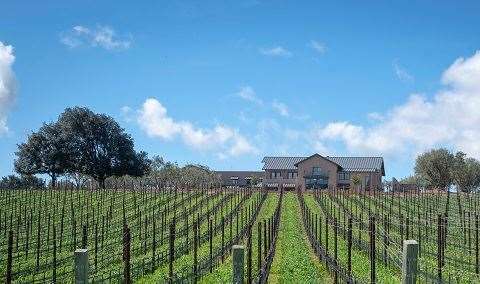 Nestled in the heart of the Smith Vineyard, guests of the Tasting Room are encouraged to bring a picnic, relax on the deck, and enjoy their favorite Hahn wines. Tasting flights, ATV Tours, Elevated Tastings, and Group/Private Reservations are offered daily. 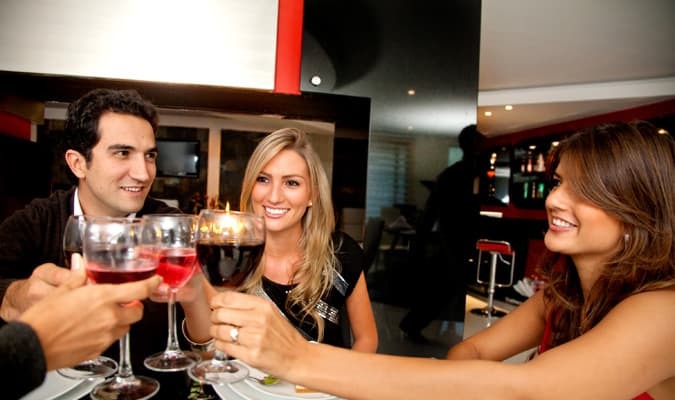 Reservations required for all experiences above a Bar Tasting Flight, and for groups of 7 or more. Tasting Room Open 7 days a week, 11am-5pm. Closed on select holidays. Please visit hahnwines.com for full details. This was a great fun time, Erik was a great host, full of info, humor, and took the time to make sure it trip was all we expected it to be, if you like Hahn wine , then this is a trip not to be missed. I can not say enough about our amazing ATV experience at Hahn Estate! To start off our guide, Alejandro, was the most personable, knowledgeable, and sincere guide that we could have asked for! Which really made the experience perfect! The views were absolutely breathtaking and the facilities was pristine! We had the BEST time on our tour. Our tour guide, Malin, was personable, fun, and created a relaxing atmosphere for us. We had 5 plus our guide. The ATV was comfortable and the vineyard is gorgeous. Lucky for us, it was a sunny day. Our photos turned out beautiful! Stunning location; knowledgeable and friendly staff. The ATV Tour was fabulous! We had a wonderful experience. Our guide Alejandro was awesome. We were treated very hospitablly and generously. It was an amazing day. Our host Liz was wonderful; very knowledgeable and welcoming. We were treated like friends on a private tour. I would give her six stars! Although, I’m allergic to wine and could not taste, the tour was still educational and quite enjoyable. The rest of my party tasted and admired a fabulous array of wine. They were very impressed! Thanks for a wonderful morning. We were treated like VIPs from the moment we arrived. The vineyard ATV tour was beautiful, fun, interesting, and a wonderful way to experience every step of the winemaking process while drinking the wines. Alejandro was a wonderful host. Highly recommended! This as a wonderful experience. We had been to the tasting room before, joined the wine club, so we wanted to expand our appreciation of the facility so we did the atv tour. Our guide was excellent, plenty of stops for pictures, facts and tastes of different wines. She was very easy to talk to, answered all our questions and seemed interested in all of our questions. We did the ATV Wine Tasting Tour with Jessica Schmidt! It was fabulous! Jessica is very friendly, knowledgeable, and hospitable! The tour, sharing of the winery's history and wine making process, and tasting began and ended on the deck of the main tasting room. We rode the ATV among the vines, to a wonderful inspiration point, and to the barrel rooms. It was a beautiful day! *Highly* recommend it! We highly recommend the ATV tour and tasting with Alejandro. The tour of the winery grounds was beautiful. The history of the winery was very interesting and the tastings were great. Money well spent! 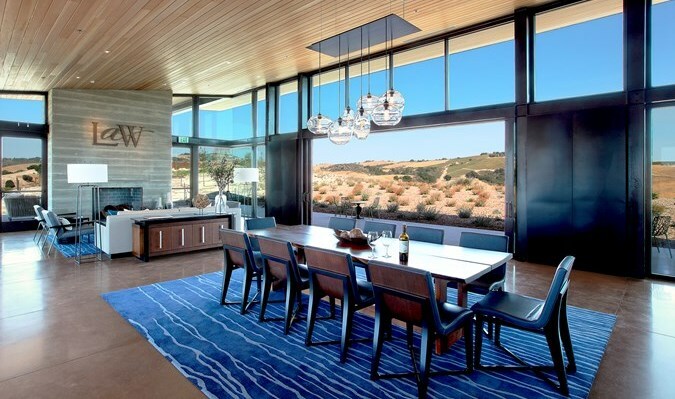 Outstanding location above the Salinas valley. ATV tour was really fun and we learned a lot. Our driver/host was Alejandro; a fantastic guide with a wonderful sense of humor. Coming from Denmark's snow and cold in March, the hospitality, freindliness and openness made the event a great success. I'm sure that this will be true even for Non-Danish visitors. Great Place to visit. Dave was an excellent atv tour guide. Highly recommended. The views of the valley was fantastic. Amazing ATV tour for our mom’s birthday! She loved it and was given special birthday treatment. Awesome experience! We were celebrating my sons birthday, there were 5 of us, including our 8 year grandson. Booked the ATV tour. Alejandro greeted us and was with us the entire time. He made the visit a wonderful & memorable experience. He was so much fun to be with, pleasant, funny, kind and caring. The wines were awesome and the tour was beautiful and informative. Would definitely do again! A girlfriend of mine joined me on a beautiful day at the winery. We did some tasting and Malin was very helpful and friendly. After tasting she easily swapped out a few wines in my shipment I was picking up. We had a picnic outside on the deck with a beautiful view. Then we went on an ATV ride which was fun and informative about the family who established the winery. A beautiful day! ATV Tour with Eric. It was fantastic tour and Eric was awesome! Tasting room was fun and everyone was very friendly. This is the second time I have had a delightful experience at Hahn. The setting is glorious, all staff are friendly, and our guide David Norum could not be more informative and interesting if he tried. (He does not have to try, it comes naturally!) Definitely my best winery adventure ever. The property is exquisite and we loved sitting on the patio enjoying the beautiful view. Hospitality was great and we were greeted by name and well cared for. We were looking for an experience close to Monterey and Hahn met that need. That said, we didn't love the wine, and found so many other wineries once we got to Napa where the actual wine was spectacular. We have been to a lot of wineries and this was the best experience ever. If you are looking for a beautiful palace to sip wines...this isn't it. This is for the person who knows and loves great wines. Erik Peterson was excellent. It was a beautiful property and we loved the whole experience!! Took the ATV adventure and thoroughly enjoyed it. it was informative, interesting and such a great way to feel like you get a feel for the vineyard vs. sitting in a tasting room. I highly recommend it, Alessandro was delightful and interesting. thank you, I will recommend it to everyone of my friends. Just the right balance of adventure, information, and wine! he Hahn Family vineyard was absolutely beautiful. Our tour guide Mariln was wonderful and very knowledgable. I would highly recommend to anyone visiting the Hahn Family wine tasting. And did I mention the wine was fabulous! We've been to Hahn wineries on a couple of other occasions & have always enjoyed our time & wines here. We decided to try the ATV adventure this time, & we had an AMAZING time. Erik was so knowledgeable & personable. We will be coming back to have him take us on this adventure again real soon. THANK YOU ERIK! ATV tour is fun and interesting way to learn about the winery. Definitely recommended. Excellent ATV tour of the winery. Malin (tour guide) did a fantastic job of showing us the different areas and then guiding us in the wine tasting. We very much enjoyed our visit! The private room was lovely,the gal attempted t answer questions and be a host. I believe it was her first day. The "elevated tasting" was not as advertised and definitely not worth $30 a piece. All the wines were presented as a regular tasting with a dish of one kind of cheese , a few pieces of procuito and some nuts. There was no attempt to pair the wines with the food. Malin was very nice and knowledgeable. We had a great experience. Malin was a fantastic host and tour guide. Would return for another ATV tour and loved your wines. Great overall experience and will recommend to friends and family!